People crave connections, and nearly 9 in 10 patients with chronic conditions say continued engagement would make a difference in their overall health. As a healthcare provider, you can provide that engage in ways that build patient loyalty and relationships, and build a sense of community, by facilitating Facebook Groups that bring patients together. 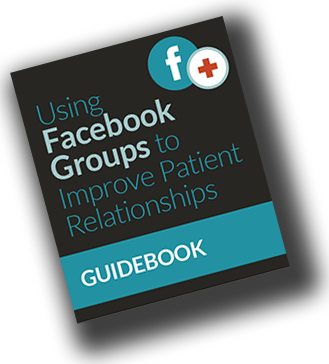 This quick-read guide explains the four ways Facebook groups can improve patient relationships, plus how to create groups as part of your overall Facebook and social media strategy. Discover a safe community and environment focused on their conditions. Share tips and experiences with others facing similar situations. Find educational content, presented in an interactive environment. Ask non-specific questions about your practice and basic healthcare topics. Are you ready to connect with your patients in ways that build relationships? How to improve patient loyalty, engagement and outcomes.